Entebbe based 4Turkeys Pub and Restaurant boss was on Saturday morning shot and killed a short time later as he drove himself to a nearby clinic. The US ex service man was shot twice in the chest and died as a result of excessive bleeding. One guards to his home already been arrested as the investigations into the case are ongoing. The Inspector General of Police Kale Kayihura went to Entebbe and addressed residents over the matter and assured them of how police was working very hard to bring the culprits to book. 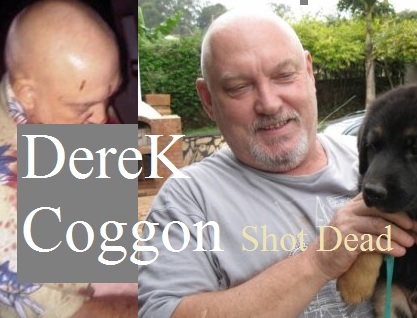 Meanwhile, It's not yet clear why Derek was killed but police suspects issues to do with property. His body was taken to Mulago Hospital mortuary.